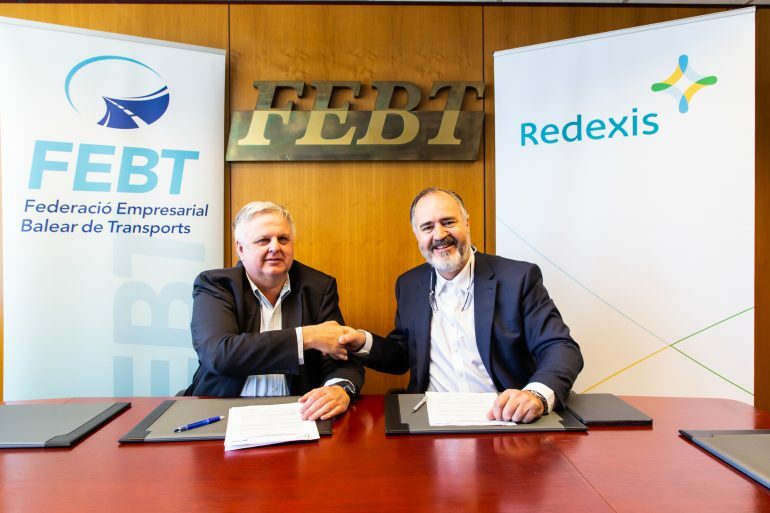 Redexis, integral company of energy infrastructures, and the Balearic Business Federation of Transports (FEBT) have signed a framework agreement of collaboration for the development and promotion of sustainable mobility through the promotion of natural gas for vehicles. Thanks to this agreement, both organizations express their interest in the development of alternative fuel mobility as one of the ways to strengthen the fight against climate change, improve air quality in cities and contribute to achieving sustainability goals and economic development. The FEBT will promote the use of CNG vehicles among its members, in order to extend their purchase and adoption. In addition, it undertakes to provide Redexis with information on the number and type of vehicles of its members, so that Redexis may have sufficient information to promote the refueling infrastructure necessary for the supply of natural gas in the zones where is appropriate. For its part, Redexis will build and provide public access to natural gas refueling stations that are necessary to meet the immediate demand for road mobility. Redexis currently manages a transport and distribution network of 1,200 kilometers and gives access to natural gas to 850,000 citizens in 17 municipalities of the islands. There are several NGVs in operation the Balearic Islands: the municipal fleet responsible for waste collection and cleaning in Palma de Mallorca (Emaya), the Valoriza Environmental Services fleet in Ibiza and the bus fleet of the Palma Municipal Transportation Company (EMT), among other fleets. Currently, Redexis is already undertaking NGV projects thanks to the large gas infrastructure deployed throughout Spain, propelling very important initiatives with natural gas. In this extremely positive scenario for sustainable mobility, AltFuels Iberia 2019 will take place on 11-14 June at IFEMA Trade Center, Madrid. It will be an event consisting of first level conferences and exhibition of vehicles of all kinds, refueling stations, components, plants, road and marine engines, as well as the entire universe of the alternative fuels industry with the latest technological developments, multiple options for networking, business and new advances. For more information, please contact info@altfuelsiberia.com.